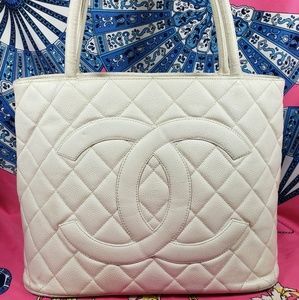 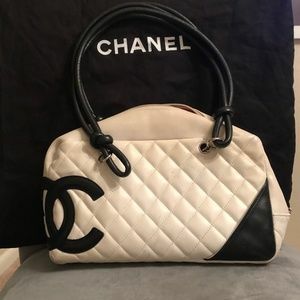 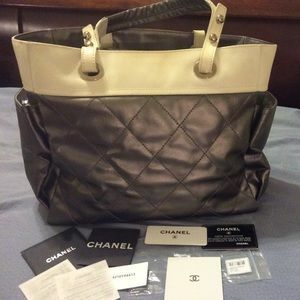 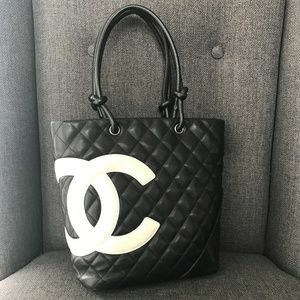 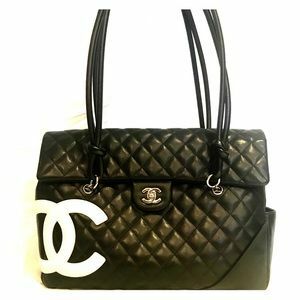 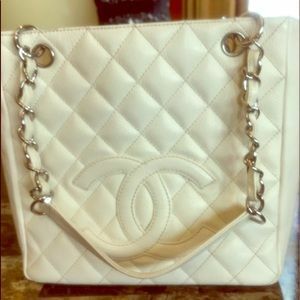 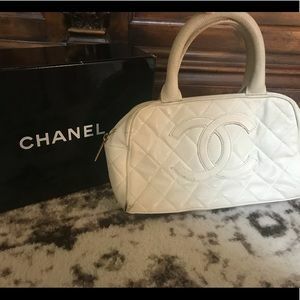 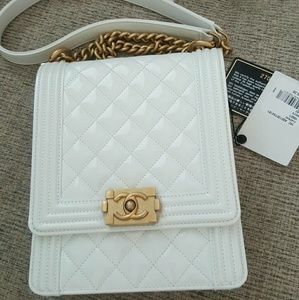 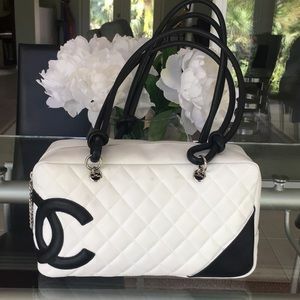 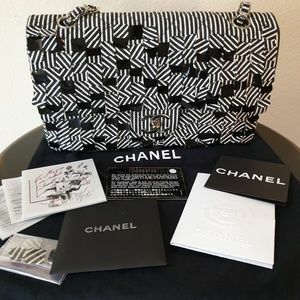 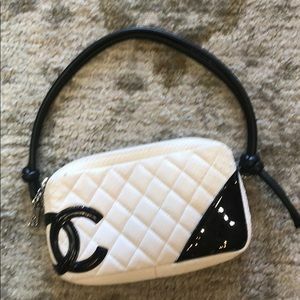 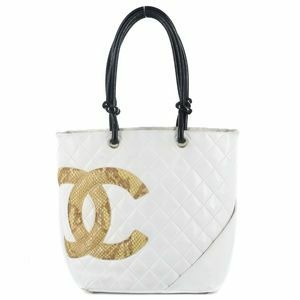 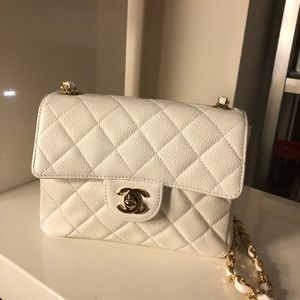 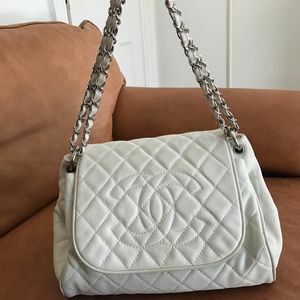 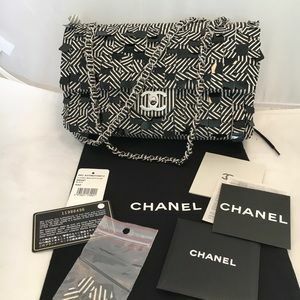 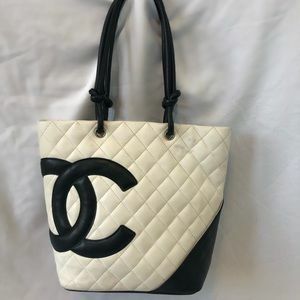 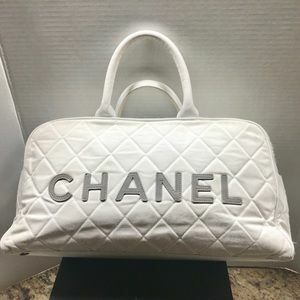 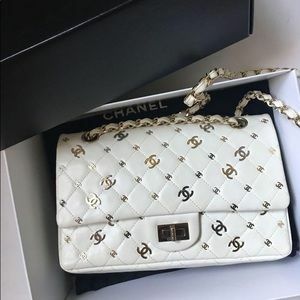 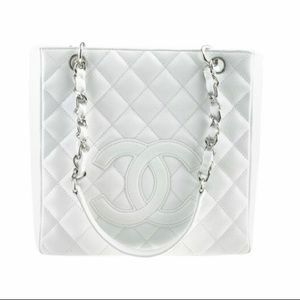 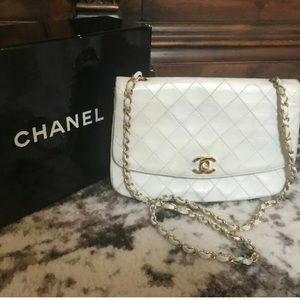 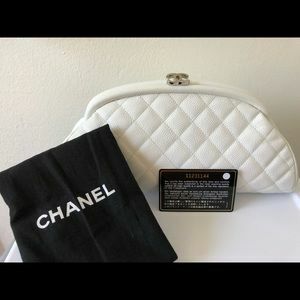 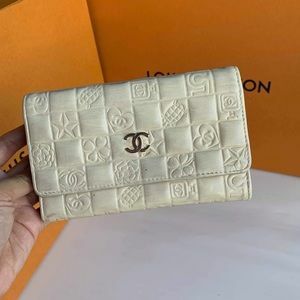 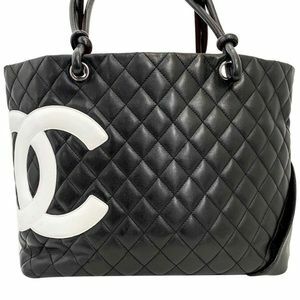 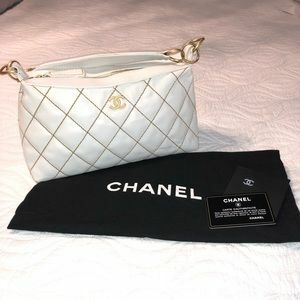 Rare 5 chain Chanel White Quilted Flap Bag. 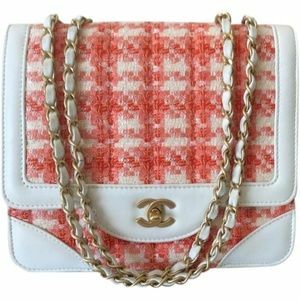 Size: Approximate measurements 9" X 7.5" X 3". 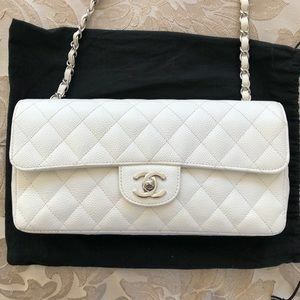 Size: 11.5 x 5.5 x 9.25"